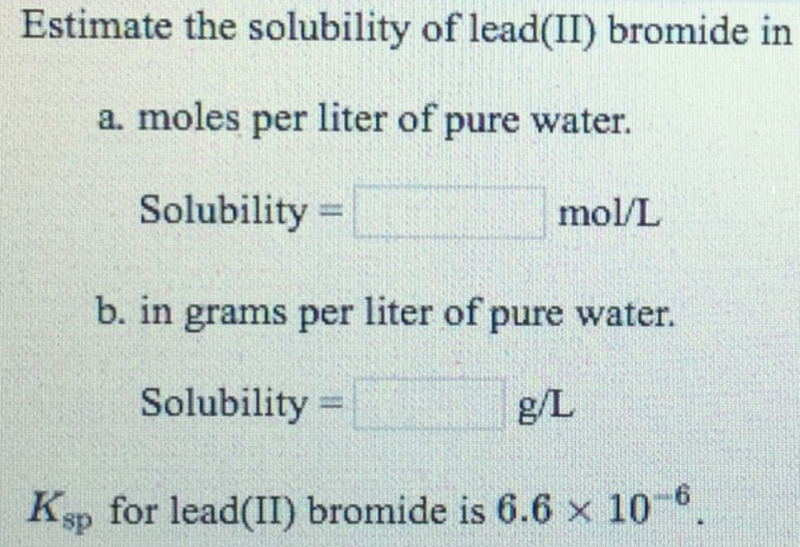 Solution: Estimate the solubility of lead(II) bromide in a. moles per liter of pure water. b. in grams per liter of pure water.Ksp for lead(II) bromide is 6.6 times 10-6.
a. moles per liter of pure water. b. in grams per liter of pure water. Ksp for lead(II) bromide is 6.6 times 10-6.